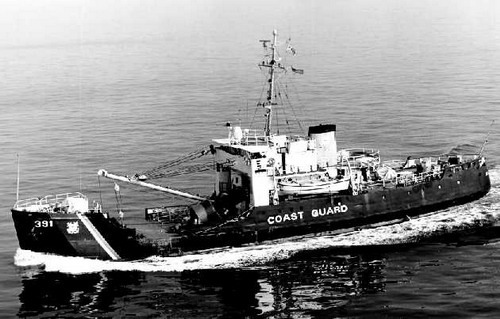 Twenty-three sailors perished when the 180-foot U.S. Coast Guard buoy tender Blackthorn collided with a tanker and then capsized and sank in the Tampa Bay ship channel on the night of January 28, 1980. 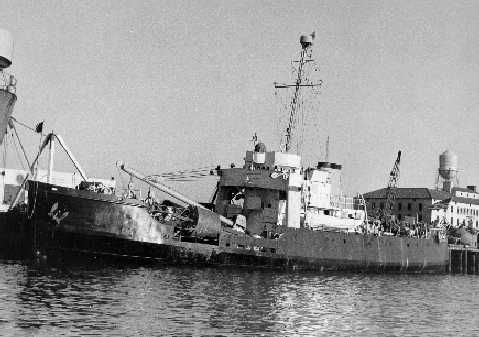 That incident remains the worst peacetime disaster in U. S. Coast Guard history. It not only remains fixed in Coast Guard records, but it led to major safety and training changes in both the agency and the channel where the mishap occurred. The 36-year-old Blackthorn, one of the largest cutters in the fleet, had just had a complete overhaul and fitting out at Tampa and was on her way out of the harbor on the first leg of a trip back to its home port of Galveston, Texas. Lieutenant George Sepel, the skipper of the Blackthorn, was on the bridge as the vessel made its way through the busy channel, but Ensign John Ryan, a relatively inexperienced pilot, had the conn. Sepel later was faulted for allowing Ryan to pilot the ship without closer supervision that evening. Pilots familiar with the channel say that night steerage can be confusing, even in the best of conditions. With no visible horizon to give the pilot perspective, the lights on shore tend to merge with navigational lights on buoys, markers and other ships. Even radar screens get jumbled with false blips created by the heavy traffic both ashore and in the channel. In addition to that, it is a long channel with several turns, where large ships must pass close to one another to keep deep water under their keels. The Blackthorn was outbound, traveling about mid-channel, and following close behind the brightly lighted Russian passenger liner Kazakhstan. 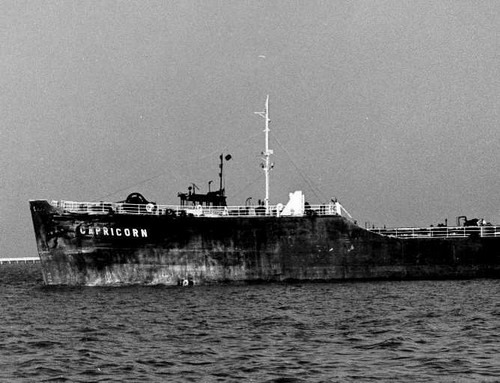 Approaching them from the opposite direction was the 605-foot tanker Capricorn laden with 150,000 barrels of oil for the Florida Power generating plant on Weedon Island. A board of review found that both vessels were traveling too close to the center of the channel, and both pilots were blinded by the bright lights of the liner Kazakhstan and failed to see one another until it was too late. In addition, the Capricorn began negotiating a turn to port after passing the liner, thus putting the two ships on a collision course. Neither vessel was steaming at top speed and the crash didn't cause extensive damage to either vessel. But the Capricorn had her anchors out in preparation for mooring nearby. When they hit, one of the 13,400-pound anchors punched through the hull of the Blackthorn and lodged there. The hole was above the water line and the cutter probably would have remained afloat if it hadn't been for the freak set of events that happened next. The crash caused the long anchor chain on the tanker to slacken, and it played out, causing the chain to wrap itself under Blackthorn's hull. Then as the two ships backed away from each other, the chain became taut. The force of the larger ship pulled the smaller buoy tender, causing it to tip on its side until it suddenly capsized. The mishap happened in about three minutes. The 23 sailors that perished were trapped below deck. Another 27 of the ship's crew escaped. Some of these told of groping and swimming through flooded passageways in the overturned vessel until they found their way out. The Blackthorn disaster came only a few months after the Cuyahoga disaster, which claimed 11 lives of guardsmen. The two accidents led to the formation of the Command and Operations School at the Coast Guard Academy in New London, Conn. Every officer who will be responsible for the navigation of a ship must attend this two-week training course. Better lighting and safety standards have been added at the Tampa Bay ship channel as well. In addition to brighter buoy lights, range lights have been installed to help incoming and outgoing vessels remain in the channel. Also inbound and outbound ships must now report their location to the Tampa Port Authority as they move through the channel. This helps pilots and skippers track each other.